When you are looking to buy a mobility scooter; it can be hard to decide which is going to be the best Mobility product for you. Here at Luggie we have designed the Mobility range to be lightweight, easy to fold and easy to transport. The Luggie Travel Mobility Scooter is the most versatile travel scooter in the world! Thus, you can take it on any form of public transport. Also, the Luggie will deal with most inclines and will never let you down. 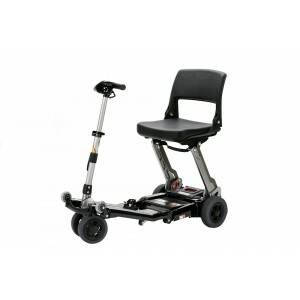 A lightweight mobility scooter that boasts an aluminium chassis; also, the latest battery technology as it uses a Lithium Polymer battery. In other words, the same technology used in the latest electric cars. 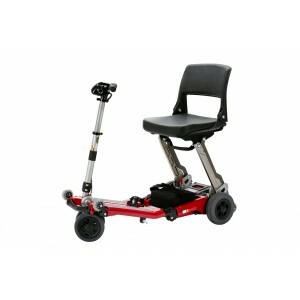 Complete with an unrivalled 5 year limited warranty across all Luggie Mobility Scooters and Luggie Chair. The Luggies smart folding system makes it the world's most compact Folding Mobility scooter, and the folding and unfolding really is as easy as it looks. 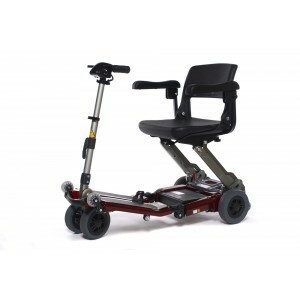 The Luggie lightweight Mobility scooter can be taken onboard trains, planes, buses, cruise ships, trams and pretty much anywhere else you can think of. 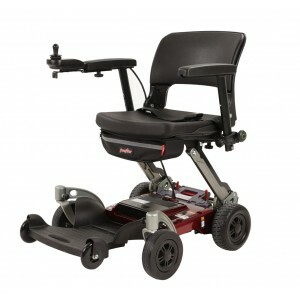 We also now have a power chair in our range. the LuggieChair. 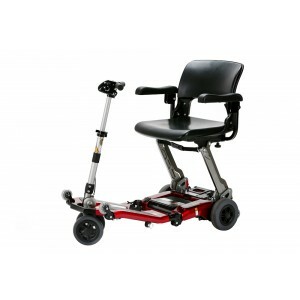 We have combined the knowledge we have from the Luggie Scooter with the manoeverability of a power chair to create a mobility product that we think can really help some people gain back their independance.